All of Peter Close's Cat Sculptures are suitable to use as a memorial to a much missed friend. 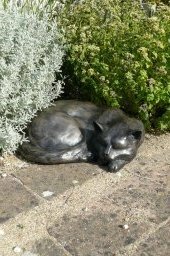 We have lost many of our own cats over the years here at Quarry Farm and have a number of cat statues in our own garden to to mark the resting place of our much missed cats. 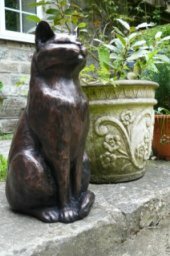 Buff was the first of our cats to be sculpted by Peter. Every time one of his sculptures was sold he would get £1.00 to buy some fish! Buff's favourite place in the garden is now marked by his very own statue. 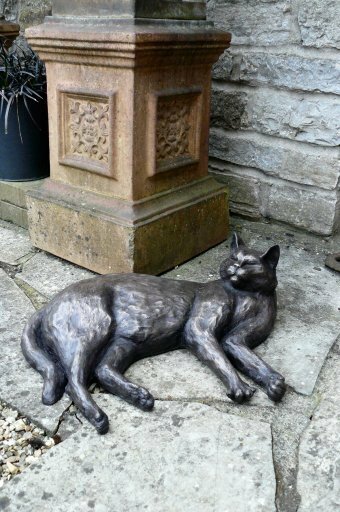 All of our cat memorials are made of cold cast bronze (except Buff Copper) and are completely weatherproof. 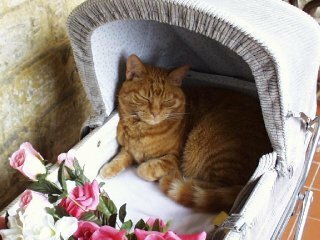 They are a fitting way to mark the grave of your departed cat or perhaps to mark their favourite spot in the garden or patio. Place your cursor on the small images to see a larger picture.